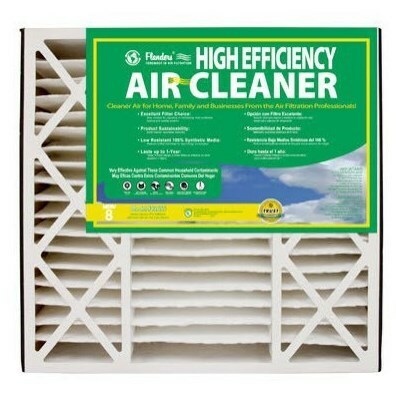 This disposable deep pleated air filter cartridge is specially designed to work in a Honeywell® whole-house air cleaner. The filtering medium is made with synthetic mechanical filtering fibers. The medium is adhered to an expanded metal backing, deep pleated and encased in a moisture resistant kraft board frame. It offers a MERV 8 level of performance. (This product is manufactured by Flanders Precisionaire. Honeywell® is a registered trademark of Honeywell Inc. Reference to their mark here is for system identification only). Notes: You can select branch or shipping method in the shopping cart.